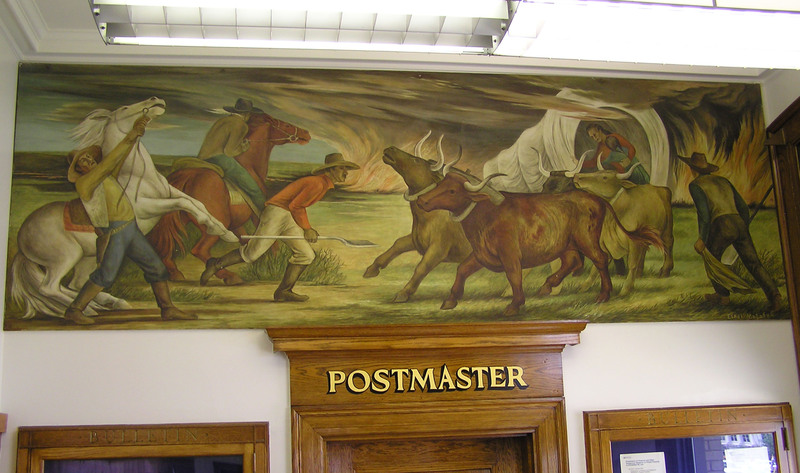 The mural “Prairie Fire” was commissioned by the federal Treasury Section of Fine Arts. 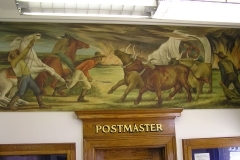 The tempera work was completed by Ethel Magafan and installed in the lobby of the historic Madill post office in 1941. It is still visible today.